The Economiser Radiator from Ecopower Heating offers you everything that you should expect from a conventional modern central heating system, at a fraction of the cost for installation and with no maintenance, boiler servicing or pipework. Energy efficient, powerful, fully controllable and discreet in looks, the Economiser Radiator can be used in a single area or controlled as part of a centralised system with our wireless programmer / thermostats. To replace a storage heater, simply use the existing power point and remove the old Economy 7 meter. For total simplicity, simply plug in to a standard power socket. The surface of the Economiser Energy Efficient Radiator is powder-coated in a durable white finish and offers a maximised surface area for superior heat distribution. This, and numerous internal flutes which draw and heat cool air from floor level, creates an exterior which not only looks great, but offers optimal performance. An even room temperature from floor to ceiling, quick heat-up times and a healthy, radiant warmth are assured. Within the body of the Economiser Radiator is a series of slim, ceramic cells. Each cell heats up individually and transfers heat energy almost instantaneously to the fluted outer body of the radiator. This rapid heat transfer, coupled with the design of the energy-efficient profile of the outer casing, means that the desired room temperature is usually reached within around 15 minutes. Once the room is held at the desired temperature, the internal cells retain heat energy and continue to give off warmth steadily. During this phase of the heating cycle, the room temperature is constantly monitored and the power usage of each cell is modulated. The Economiser Radiator typically uses electricity for around 15 minutes per hour to achieve a comfortable, level and sustained temperature from floor to ceiling. With no liquids or moving parts, the cells within our energy efficient radiators operate silently requiring no maintenance and are covered by a 30 year warranty. There are two control options available. The Ecopower Economiser Radiator Range can be used as a simple “plug and play” Energy Efficient Electrical Radiator which features a compact, integrated dial control, eco-setting, power indicator and a floor-level room temperature sensor. This option is ideal for those who require simplicity above all. Full wireless programming is our most popular option and is ideal for those who wish to use multiple Economiser Radiators to form a full Energy Efficient Electrical Heating System. 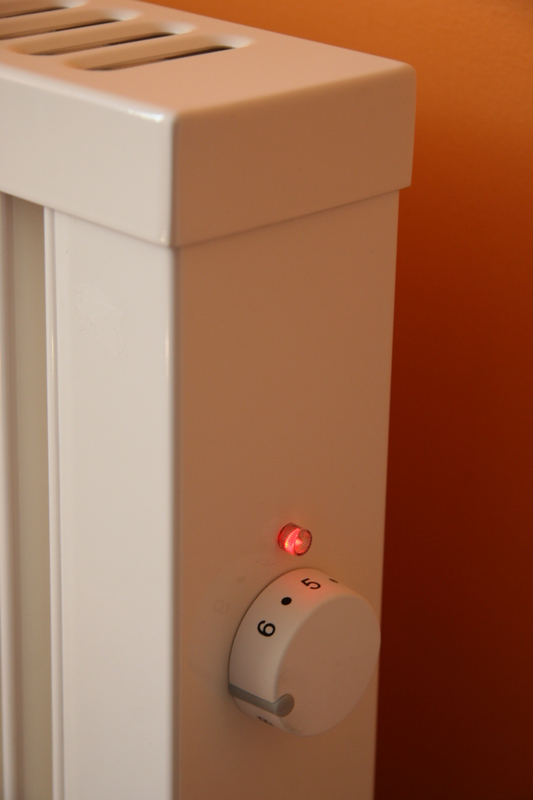 The Economiser Wireless option allows full programming over singular or multiple radiators in each area of a property. This gives the user total control over the entire heated environment, and more importantly, helps to ensure that no energy is wasted. A family live in a three-bed house. There are two adults and two children. The family wake up on weekdays at 7am, have breakfast in the kitchen, and then leave the house at 8am. The “Economiser Wireless System” switches on the bedroom radiators at 6.45am. By 7am the bedrooms are a comfortable 19 degrees C. The radiators switch off and continue emitting warmth while the bedrooms are occupied. At 7.15am the radiator in the kitchen comes on and by 7.30am the kitchen is comfortably warm. The temperature is monitored and maintained while the family have breakfast, and at 7.45am the radiators switch off and emit retained heat. The family leave the house and nobody returns until 6pm. The kitchen and lounge are the two rooms occupied for any length of time from this point onwards until bedtime. The “Economiser™ Wireless System” has been programmed to reflect this, and only these two rooms are heated. However, one of the family wants to spend some time in the study which is not due to be warmed until the weekend. But this is no problem: a simple press of a button over-rides the programme for the room and the study is warm in no time. Control timings and temperatures are easily set for weekdays and weekends, or heat can be obtained equally efficiently ‘on demand’ with a single press of a button. Not just another electric heater! The Ecopower Economiser Radiator is not to be confused with a storage heater, nor a cheap panel or convection heater or liquid filled variant. Storage heaters are bulky and unattractive, and should be considered a thing of the past. We recommend avoiding them avoid at all costs! 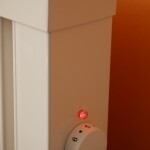 Storage heaters rely on an outdated night-time electricity tariff called Economy 7. During the night, large bricks inside the heater are charged with electric heat energy for seven hours. Regardless of the temperature the following day, or whether the property is occupied, the heat energy has to be released – at best, wasting seven hours of substantial electricity usage, at worst, forcing the occupant to open windows to lose unwanted heat. Because of the old-fashioned nature of the design, the stored heat is usually spent within a few hours, meaning that the room temperature drops rapidly and needs to be topped up with another heater or supplemented by the storage heater’s “boost” function which is usually inefficient and expensive to use. All of this is often the case, even with more modern storage heaters. 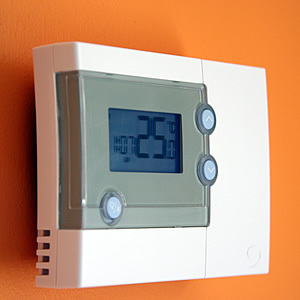 Other electrical heating methods rely on panel heaters, convection heaters or liquid-filled electrical radiators. Although more compact and cheaper to buy than storage heaters, the associated running costs are often very high. The majority offer low levels of energy efficiency similar to storage heaters and many use electricity for 100% of the time that they are in use. Not only are they inefficient, they often dry the air and spread dust around the room. 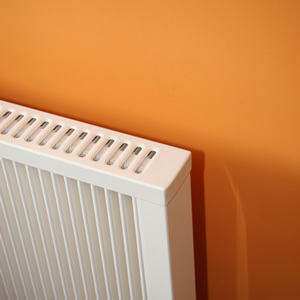 Oil or gel filled radiators are prone to leaking and noise during the expansion and contraction of the heated surface.